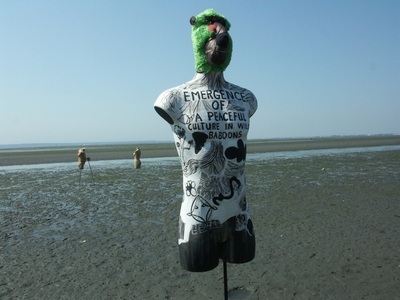 My work in the group Torso Project of August 2014 resulted in The Illustrated Baboon, the creation of a Baboon-Man hybrid from one of eight mannequins used by The Day of Drawing Collective. 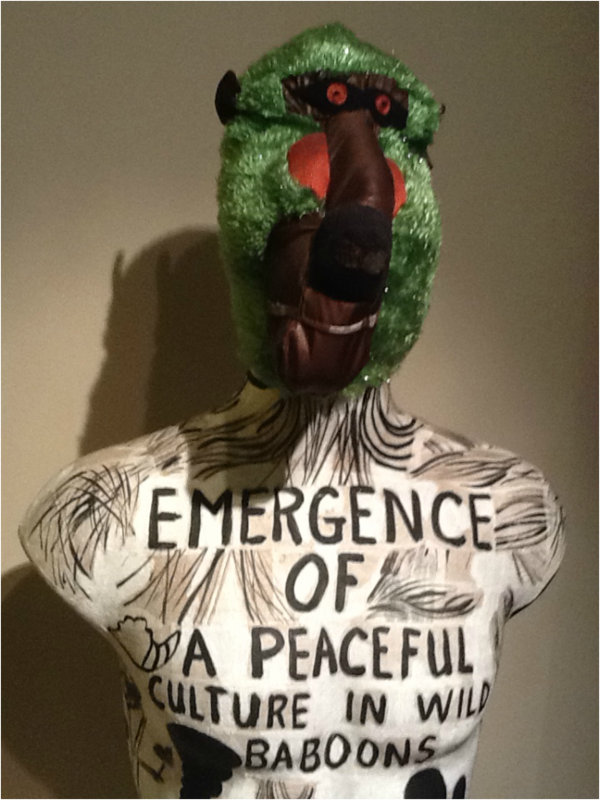 Each artist took on the challenge of transforming a torso. 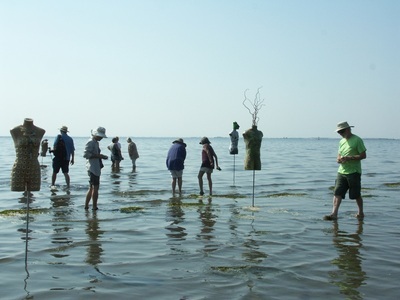 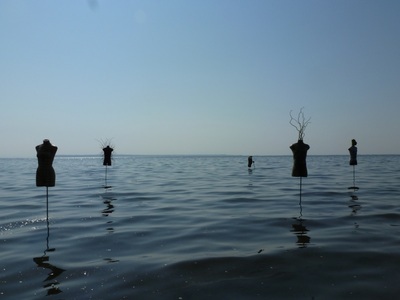 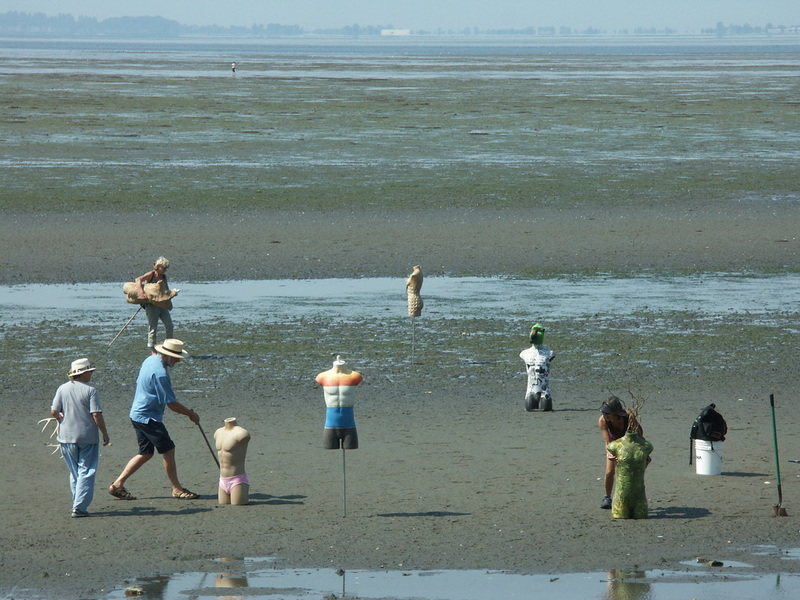 At low tide, the completed mannequins were installed on poles in the sand at Crescent Beach, Surrey BC while all watched the tide come in.